Our wholesale coffee service begins with the relationships we’ve cultivated with our sourcing partners. From the family farms that grow the coffee we roast, to each café, restaurant and specialty market that chooses to carry our coffee. 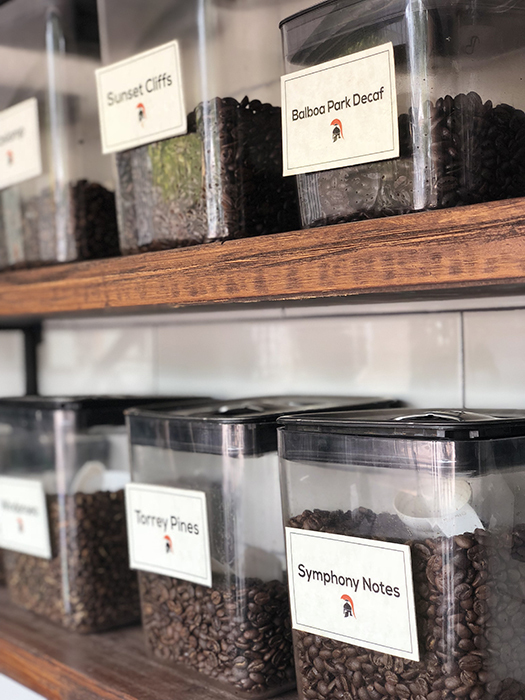 Our wholesale coffee program seeks to partner with cafe’s, restaurants, specialty markets and hotels that value an enriching coffee experience through the entire supply chain; from farm, to roaster, to customer. With each potential partner we develop custom programs to address diverse needs, goals and environments in order to provide an exceptional product with wide-ranging support through training, equipment and technical assistance. If you’d like to discuss having Achilles Coffee Roasters develop a custom coffee program for your business, please inquire here. Come visit us at one of our Downtown San Diego locations and experience our coffees. Even better, visit our roastery and see our coffee being roasted and chat with our roaster about the process. Please Complete the Form Below to Schedule a Meeting and Cupping of Our Offerings. We’d Be Happy to Answer Any Questions You Have. What type of Establishment are you ordering for? Restaurant, Bar, Coffee Shop, Etc.